Have you ever gone for a run when it’s dark out? It’s kind of scary sometimes, isn’t it? Today I’m linking up with Erika and Patty for Tuesdays on the Run. The theme this week is Tips for Night Races, but I just want to focus on the importance of runner’s safety when running in the dark – either early in the morning or late at night. It may seem obvious to “be safe” when you’re running in the dark, but it’s very easy to let your guard down out there, especially if you’ve decided to go for a run at the last-minute and you’re focused on just getting it done. Consider the following tips as a friendly reminder of what NOT to do when running in the dark! Are you thinking about trying a brand new route while running in the dark? Think again. Early in the morning or late at night is probably the worst time to “freestyle” on your run. What if you get lost or injured and end up on the wrong side of the tracks without a soul in sight? What would you do? About a year ago, I switched it up and went for a solo 4-mile run from my neighborhood into Center City Philadelphia on a Sunday night. While the area is relatively safe, I didn’t map my route out at all and every little noise freaked me out. I was completely paranoid because I wasn’t familiar with my surroundings. When running in the dark, you have to know exactly where you’re going in order to ensure your safety. If you’re considering a new route, try it out in the daylight first! You can always look for safe running routes online that are already “blessed” by fellow runners on Map My Run or other similar sites. This must seem really obvious, but I see it ALL the time! I have been out on running trails at night where people are wearing navy blue shirts and black shorts. Don’t let this be you! It’s important to make sure that you’re as visible as possible, especially when running on or near busy roads where drivers can have difficulty seeing you. This story of a professional runner getting fatally struck by a car is an example of how difficult it can be for drivers to see us out there, even when we’re wearing the right things. Instead, I’d highly recommend wearing the brightest colored clothing you own when running at night. Whites, yellows, and bright neon colors work great. Even better, look for a reflective vest to wear over your clothes or accessories such as head lamps or blinking lights. They are inexpensive and help keep you safe because other people can see you! And don’t worry about looking silly – people probably already think you’re silly just because you’re a runner! Check out my review of Knuckle Lights – they are a great tool to use for running in the dark! 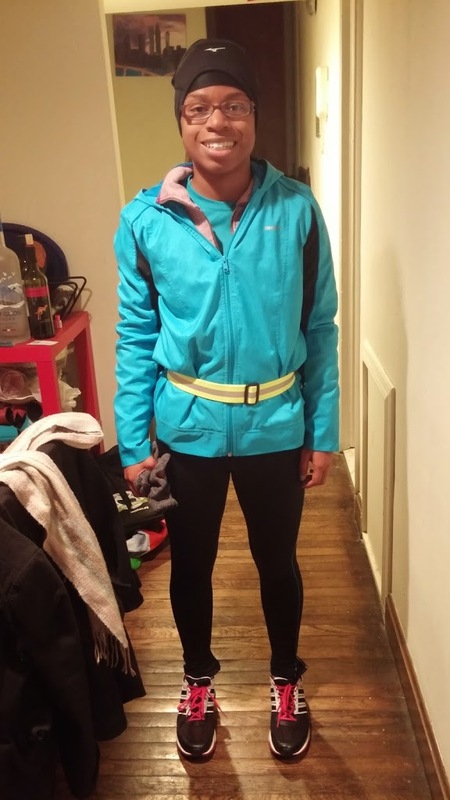 Me heading out on a night run last winter – note the bright clothes and reflective belt! You may think that having the road or trail all to yourself when running before dawn or after sunset will give you a wonderful, safe run. Don’t fall for it. It’s a little counterintuitive, but the more people you have around you on your running route, the better your odds are of staying safe out there. Nighttime is not the time to check out that secluded trail in the woods. There’s a reason why certain parks close at sunset – it’s less safe! Well-populated areas are often patrolled by local police, so in the event that there is an incident, you’d be better off in one of these spaces to get a quicker response time. 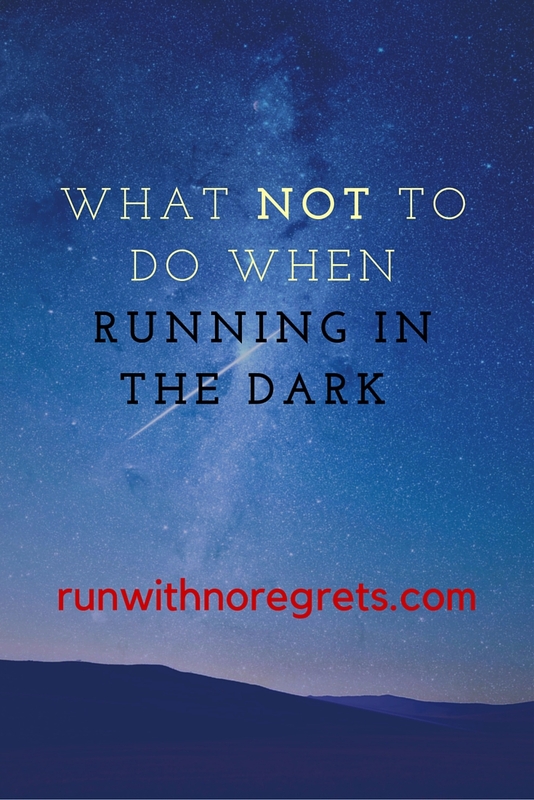 Please, please don’t head out for a run in the dark without anyone knowing where you are. No matter how busy you may be, make the time to take this crucial step! If I have to run at night, I let my boyfriend know where I’m going, how many miles, and what route I’m taking. If I’m taking too long on my run, he’ll call me to see where I am. Actually, I do this anytime I go out on a run on my own, and you should too! At a minimum, posting Instagram and Facebook selfies before you head out can provide a record of your whereabouts. There are also phone apps like Companion that lets your friends and family know where you are while on a run in real-time and you can communicate with them in the event of an emergency. See what works best for you. It’s time to admit the truth – music is a distraction when you’re running. Sometimes distractions are nice, but when it’s dark out, all bets are off. When running in the dark, keep the volume in your headphones lower than you would during the daylight hours. Since your visibility is already decreased, make sure you don’t handicap your hearing as well. Why is this important? 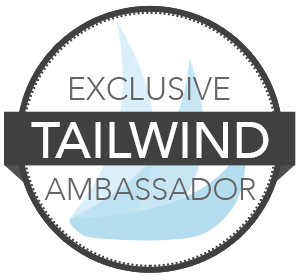 You want to be able to hear when runners, bikers, or potential attackers are behind you. And if you’re running on an actual road with other drivers, being able to hear can be the difference between life and death. Some people like to run “naked” without a GPS watch or music, but when you’re running in the dark, you better have your cell phone with you! In the event of an emergency, you can use your phone to call 911. If you get lost on your route, you can call a loved one or friend to pick you up. And if someone needs to reach you in the event of an emergency, they can easily get a hold of you. I always run with my phone out of habit. In the dark, I’d recommend carrying the phone in your hand for easy access just in case you need it. One of the best things about running is how effective it is at clearing your mind and relieving stress. I know that my mind drifts to all sorts of carefree places when I run, especially when I’m running alone. But when you’re running in the dark, you want to be on the alert – don’t get lulled into a false sense of security. Pay attention to everything that’s going on around you. How many people are out on your running route? How well-lit is the area? Is there any suspicious activity going on? Runners in the dark can be targets of robbery and potentially sexual assault, so it is imperative that you stay on the alert to avoid a very dangerous situation. Unfortunately, I have heard this happen too many times to female runners in Philadelphia. Have you ever had a situation where you thought, “I don’t have a good feeling about this”? Several weeks ago, I went on a solo run in the dark – I can’t remember if it was early in the morning or in the evening. It’s a popular trail but several of the lights were out, so it was really difficult to see other people. As I went on my run, I noticed a guy sitting on a park bench and he really creeped me out. Instantly. I didn’t get a good look at him, but I kept my distance as I ran by. Knowing I’d have to pass the bench on the way back, I was really worried about seeing this guy again. Something wasn’t right. Sure enough, a few days later a Facebook group I belong to warned runners about a man masturbating on a park bench on the trail. Bingo. Thankfully, the police were notified and they handled the situation. Apparently, the man was mentally ill.
Long story short – trust your instincts. If you have to cut your run short, do it. It’s not worth potentially being tomorrow’s news story. Your personal safety is your first priority, always! Sometimes, bad things still happen even when you take all of the precautions outlined above. But these tips can help you stay on the defensive and prevent some of the worst incidents while out running in the dark. 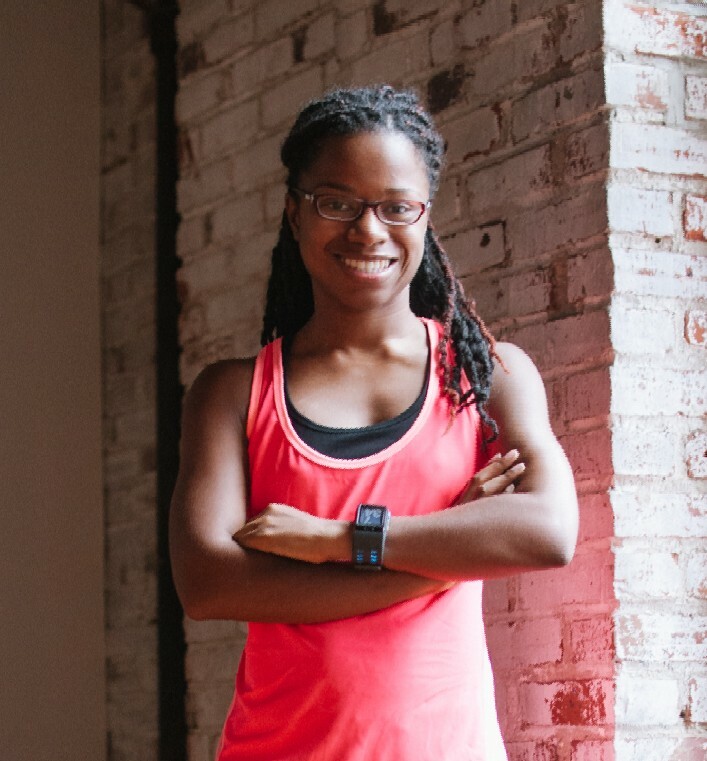 It’s a very heavy topic, but one that all runners should talk about and take seriously. Please share this post with other runners to help us all stay safe out there! How do you make sure you’re safe when running in the dark? Do you have any other tips to add?